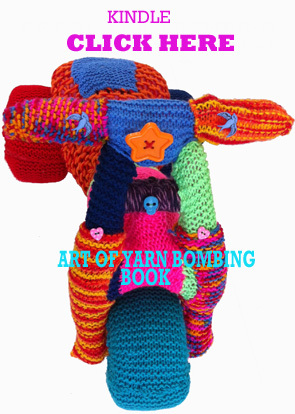 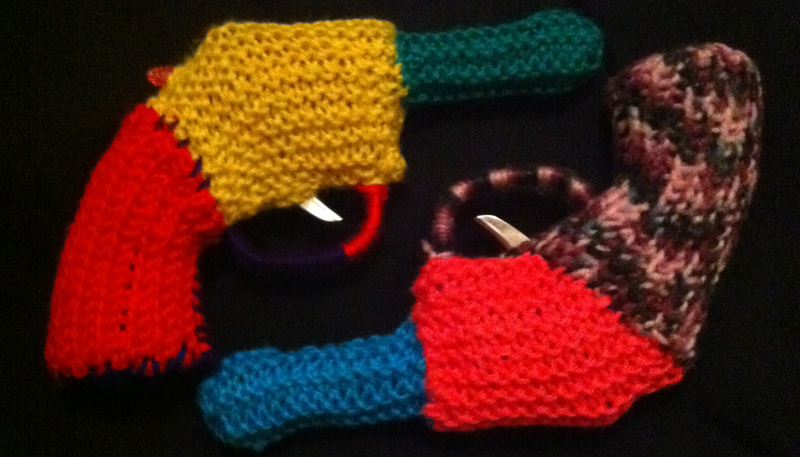 Yarn bombed toy gun set. 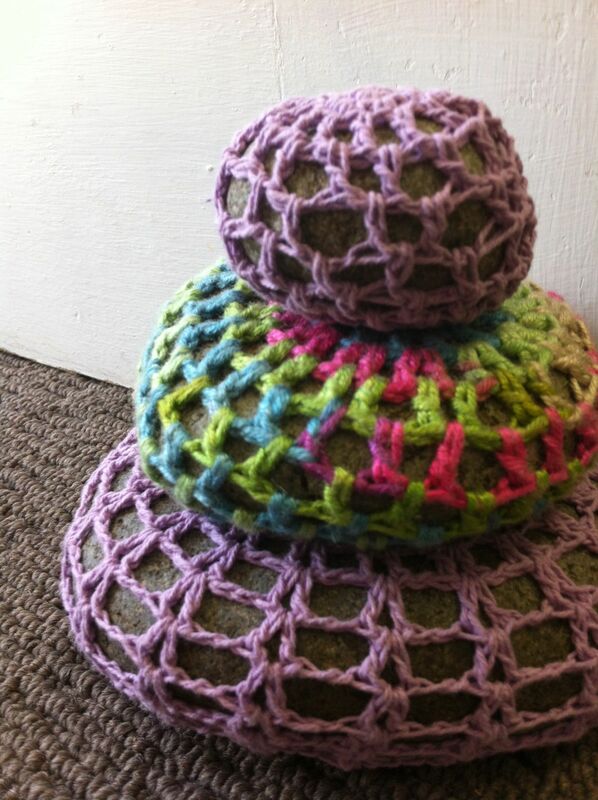 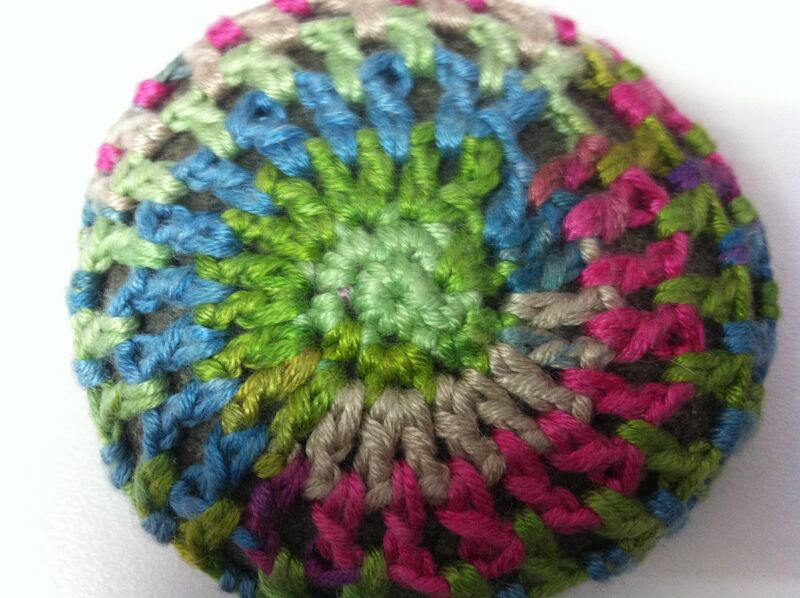 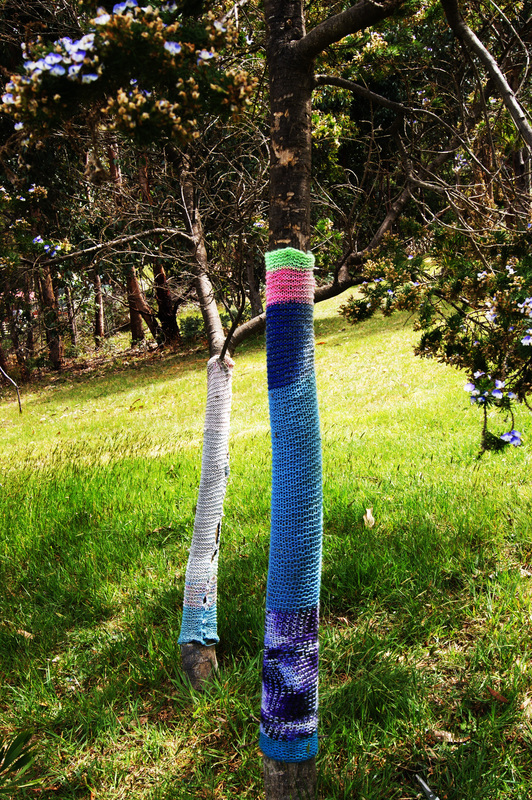 Knitting and crochet encrusted. 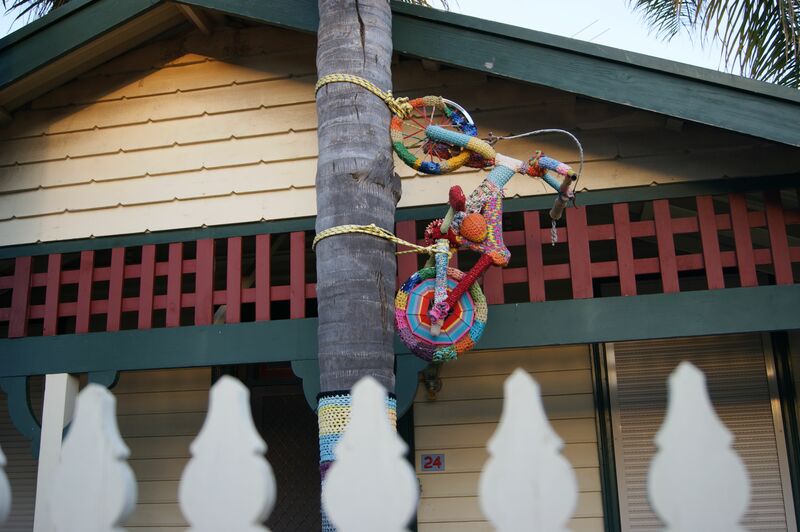 Yarn bombed bike in a palm tree. 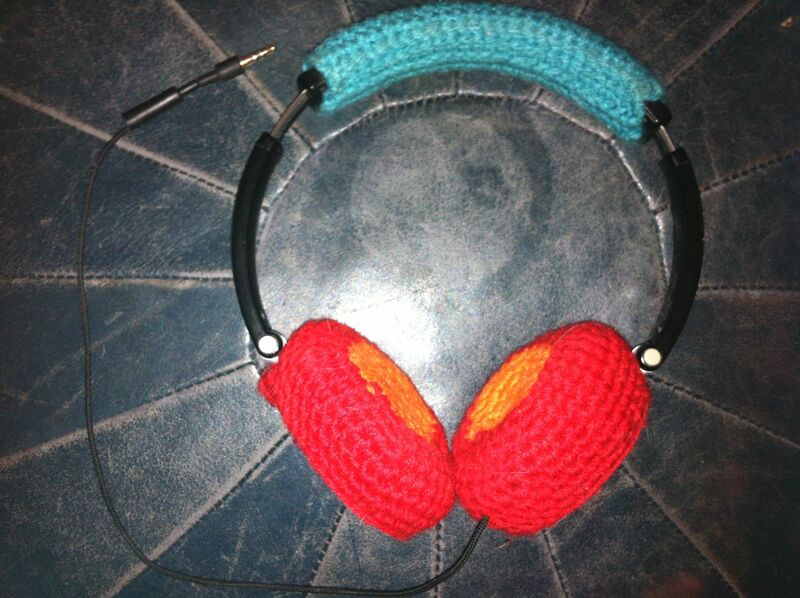 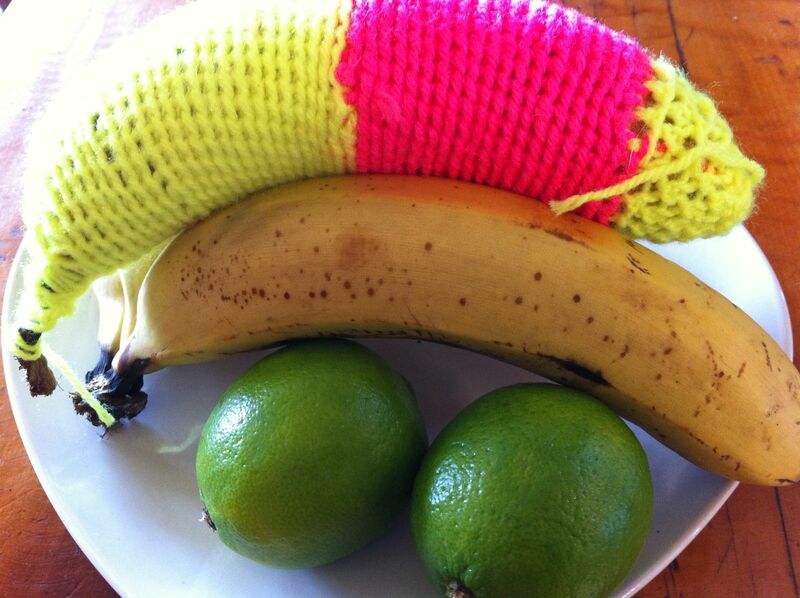 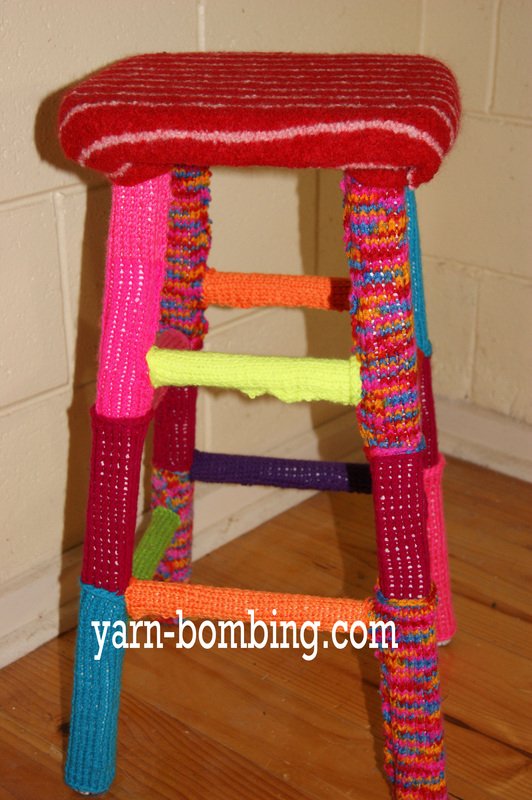 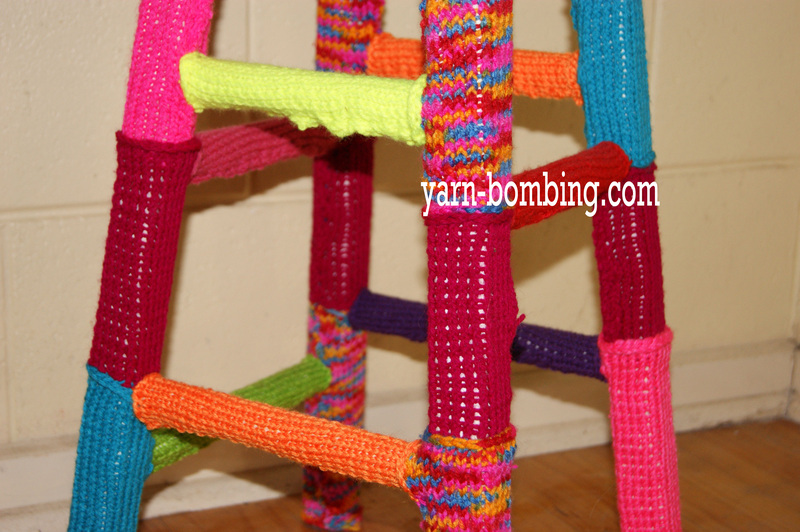 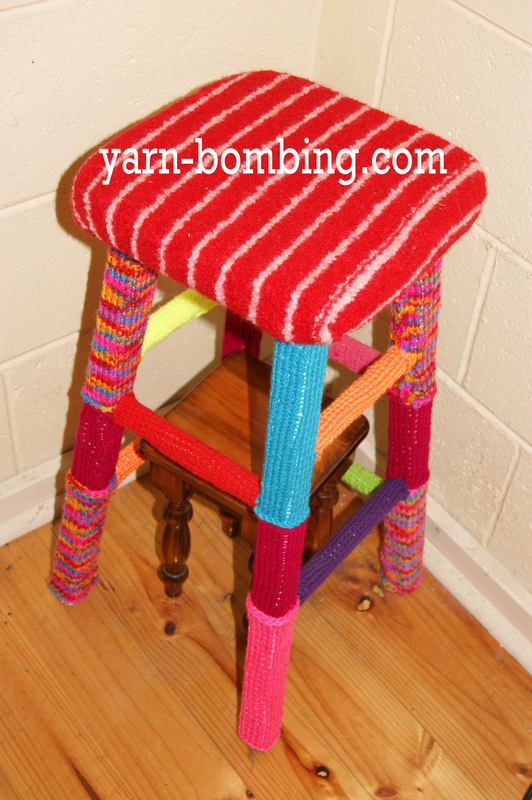 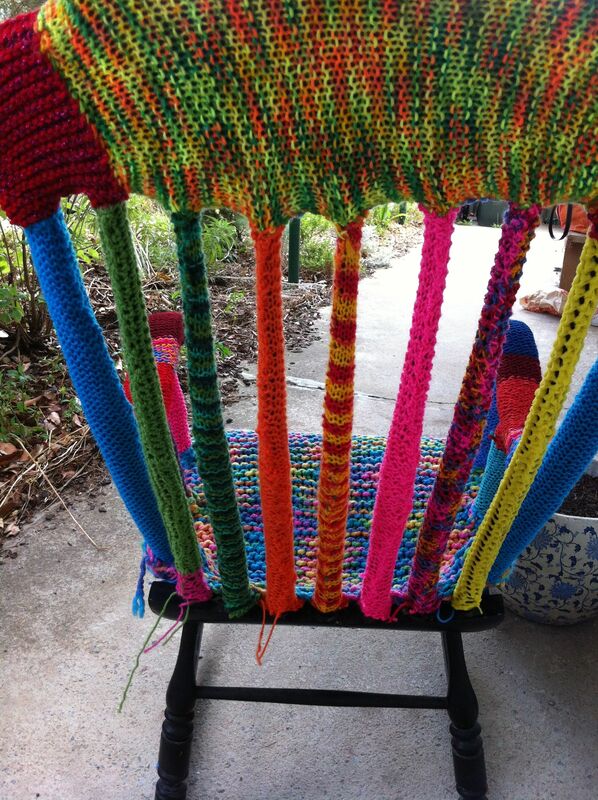 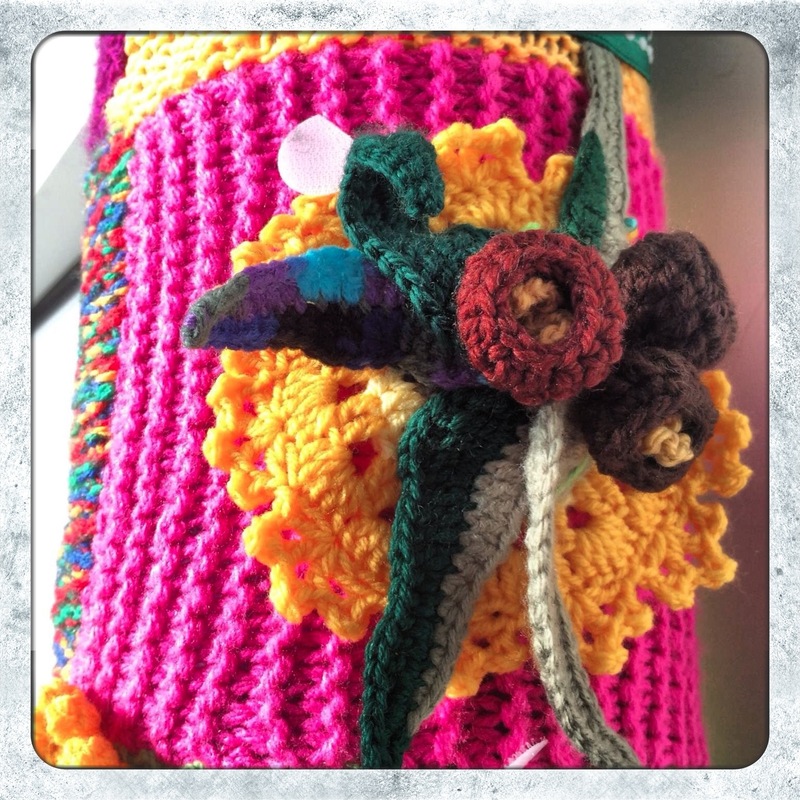 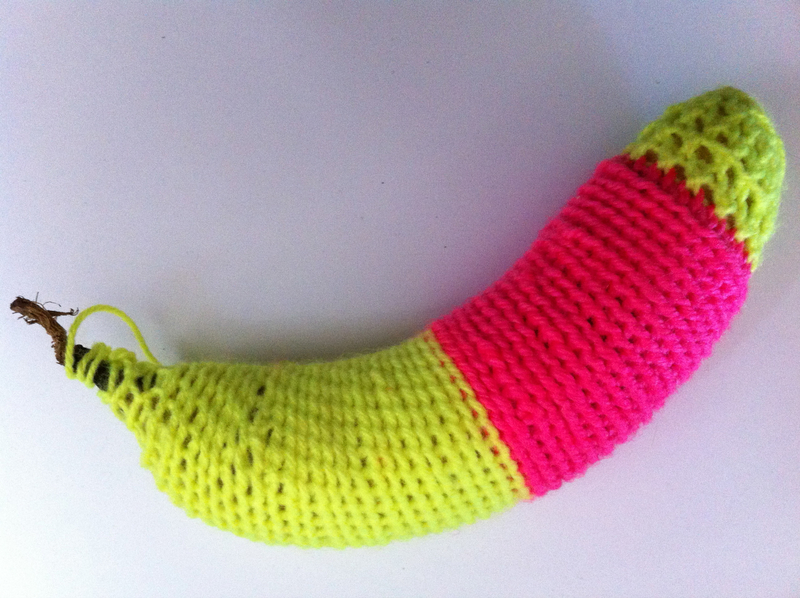 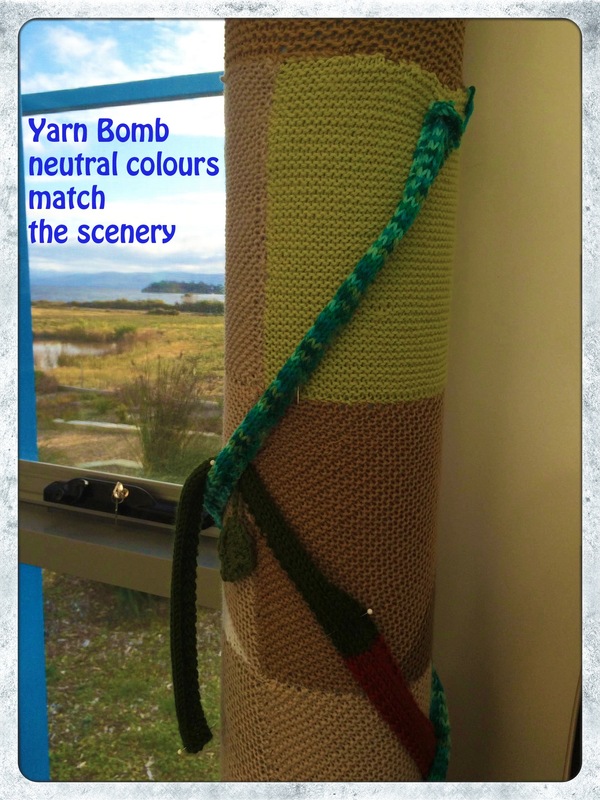 This entry was posted in Uncategorized and tagged craft, crochet, knitting, macrame, photography, yarn bomb, yarn bombed, yarn bombing on March 10, 2013 by yarnbomb. 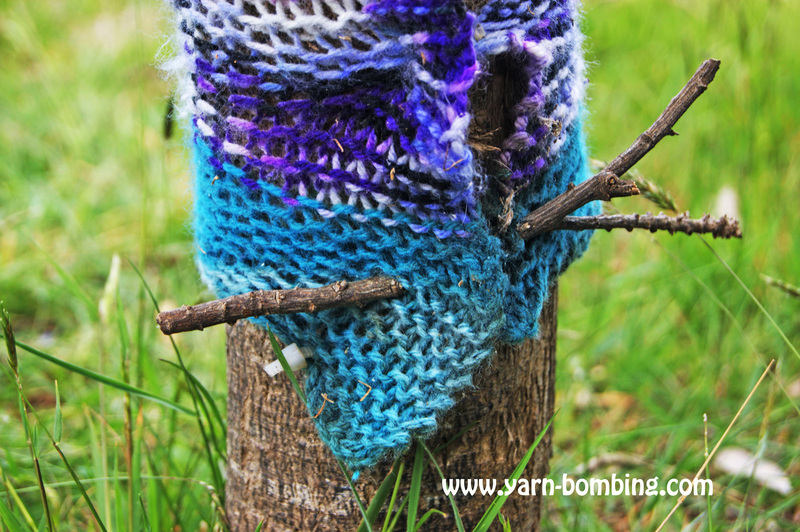 I WAS KNITTING IN FRONT OF THE TV WHEN I GOT THE URGE TO ENGAGE IN SOME KNITTING ANARCHY. 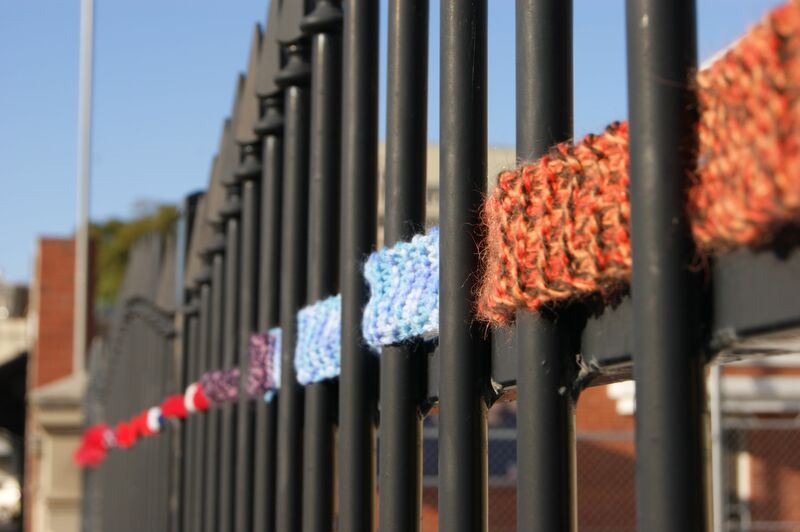 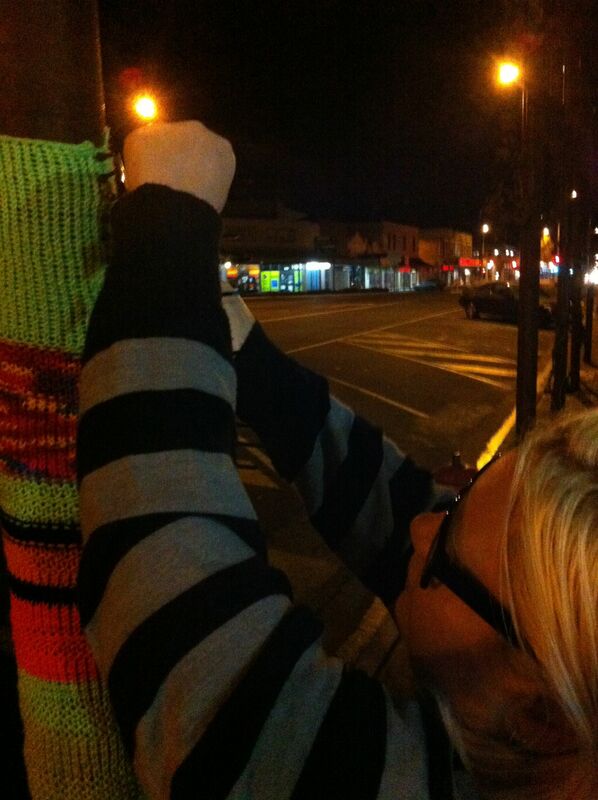 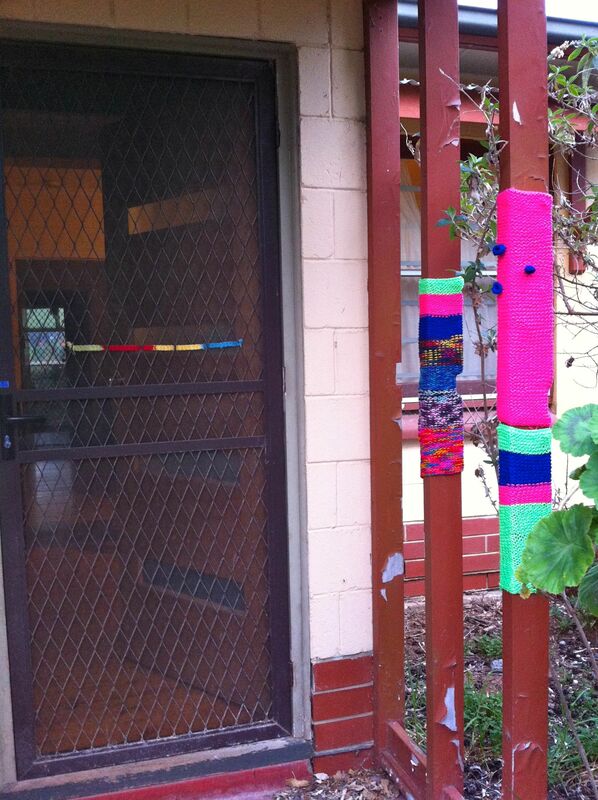 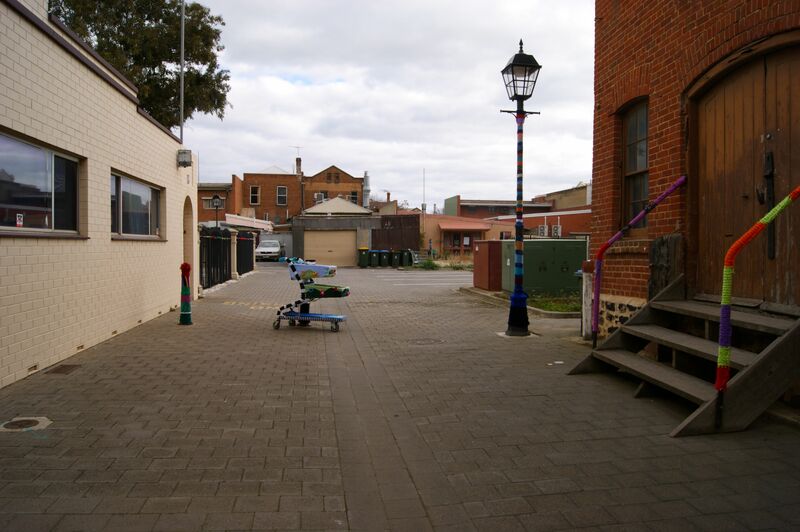 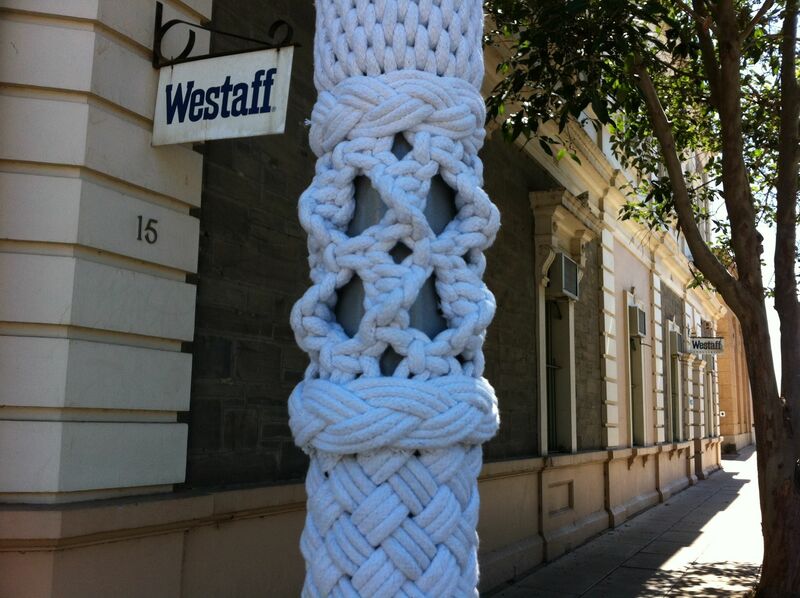 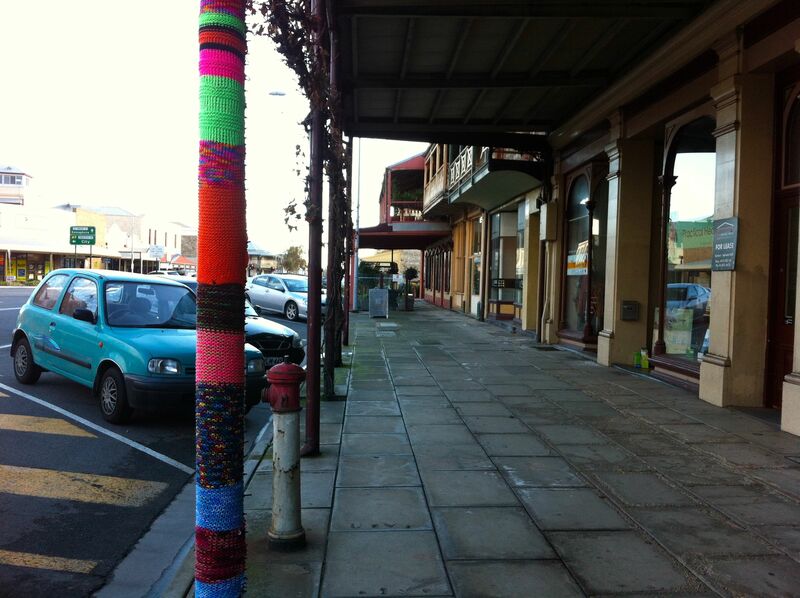 I HEADED DOWN MY STREET WITH A BIG PIECE OF KNITTING & SOME CABLE TIES & CREATED SOME STREET ART ON MY STREET. 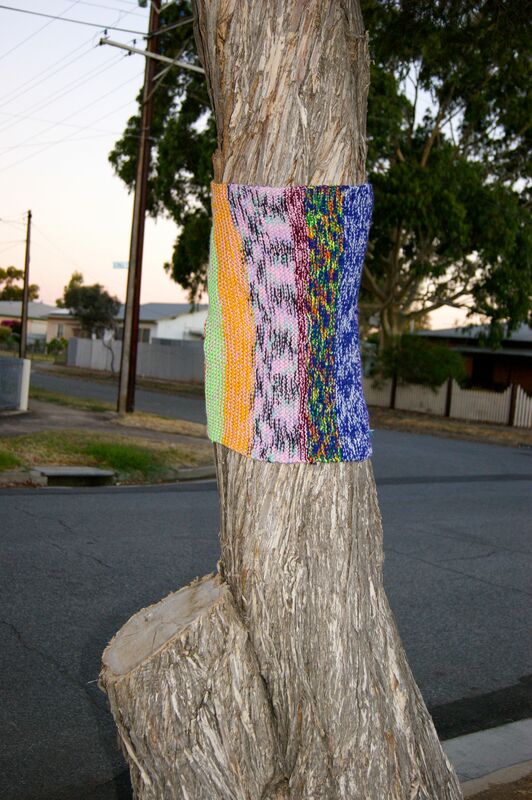 A LADY IN A TRACKSUIT & FLUFFY SLIPPERS GAVE ME THE HAIRY EYEBALL WHILE I WAS TAKING PHOTOGRAPHS OF MY STREET CRAFT, BUT SHE SAID NOTHING & SHUFFLED OFF QUIETLY. 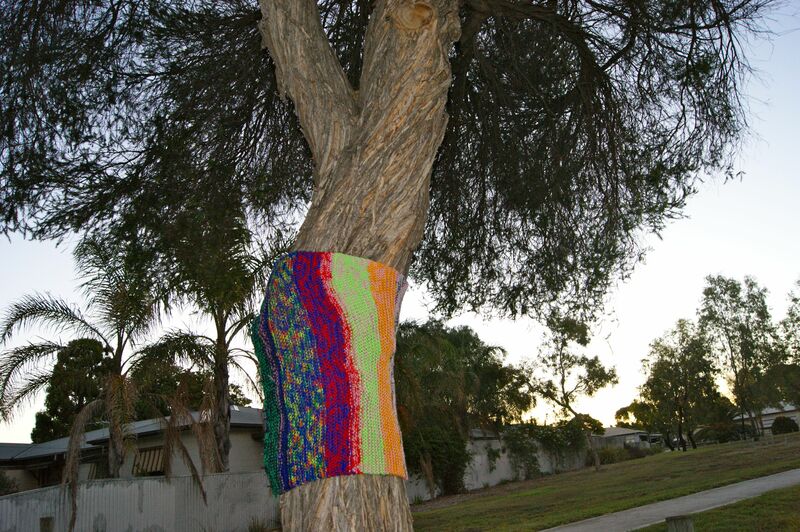 IT WAS DUSK & I TRIED TO TAKE LOTS OF PHOTOGRAPHS BEFORE NIGHTFALL JUST IN CASE IT GETS TAKEN DOWN BY EITHER THE LOCAL TEENAGERS OR THE COUNCIL. 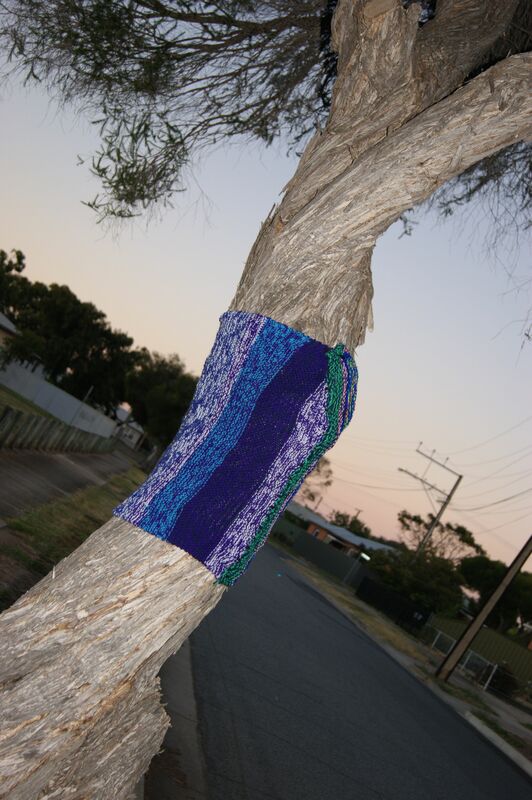 I WON’T BE SAD IF IT GETS REMOVED, JUST SO LONG AS A FEW PEOPLE SEE IT FIRST & IT HOPEFULLY MAKES THEM SMILE. 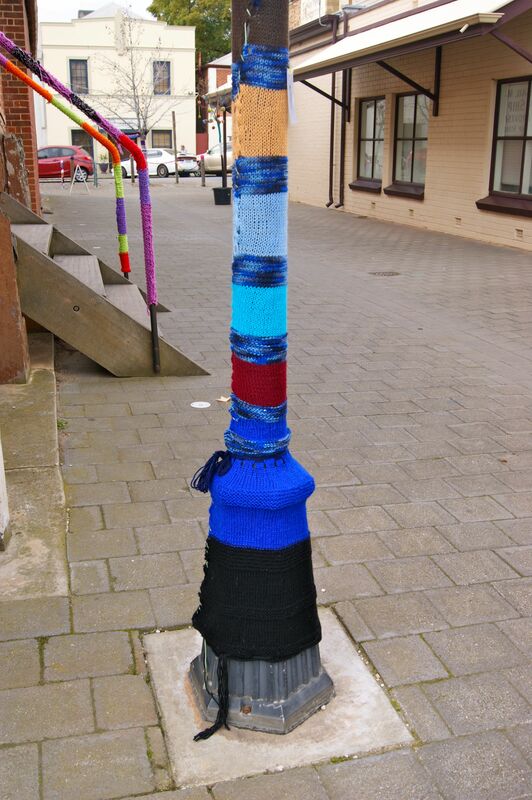 IF IT IS LEFT ALONE THEN I WILL KEEP AN EYE ON IT & IF OR WHEN IT GETS FADED & TATTERED THEN I’LL CUT IT DOWN MYSELF AS I LIKE TO PROPERLY MAINTAIN MY YARN BOMBING. 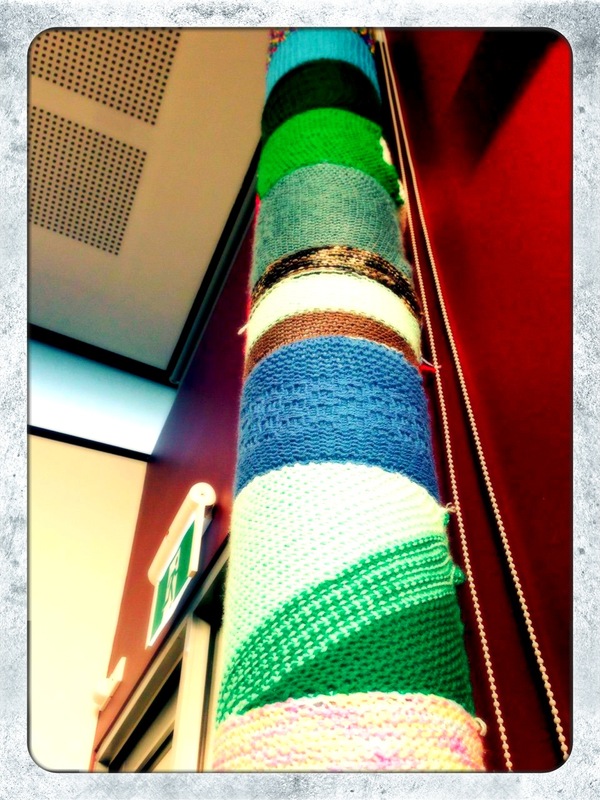 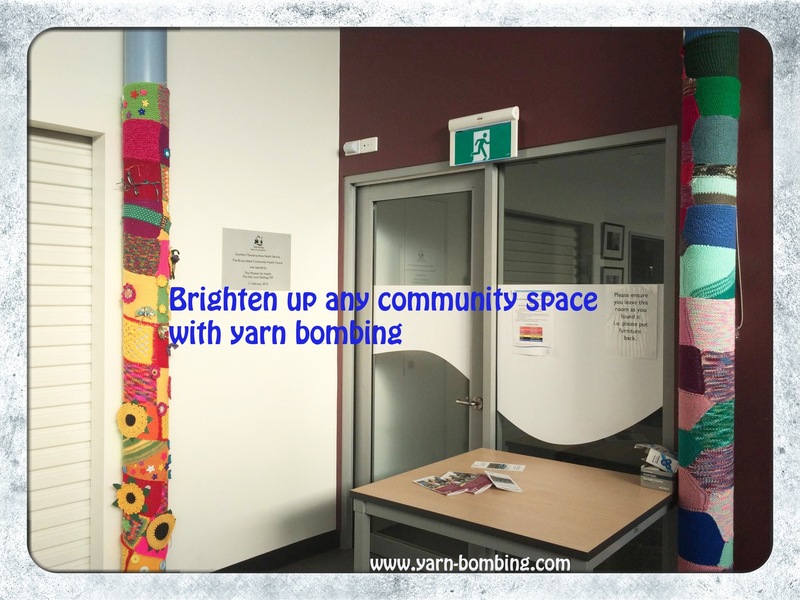 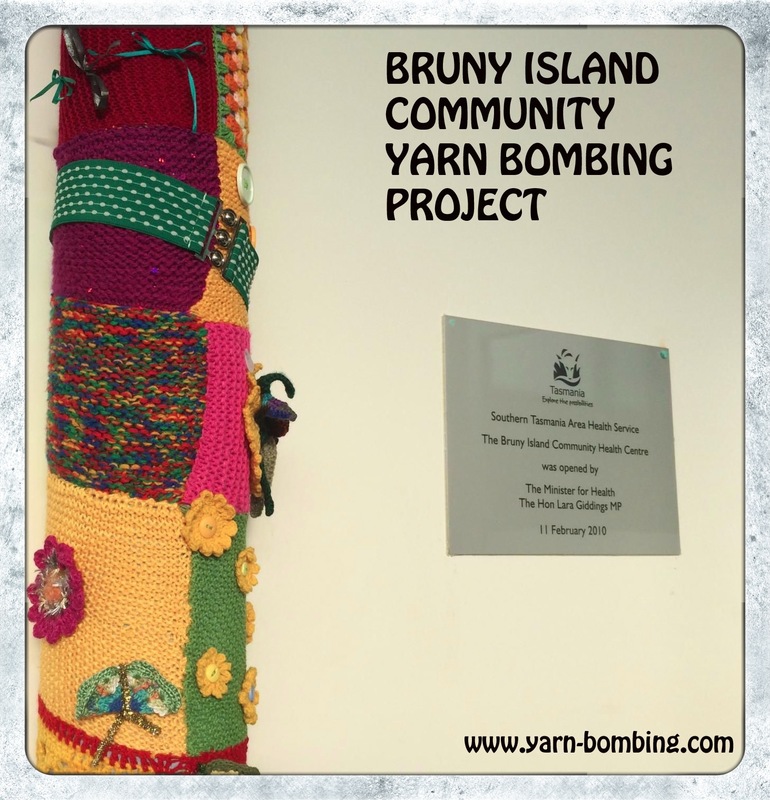 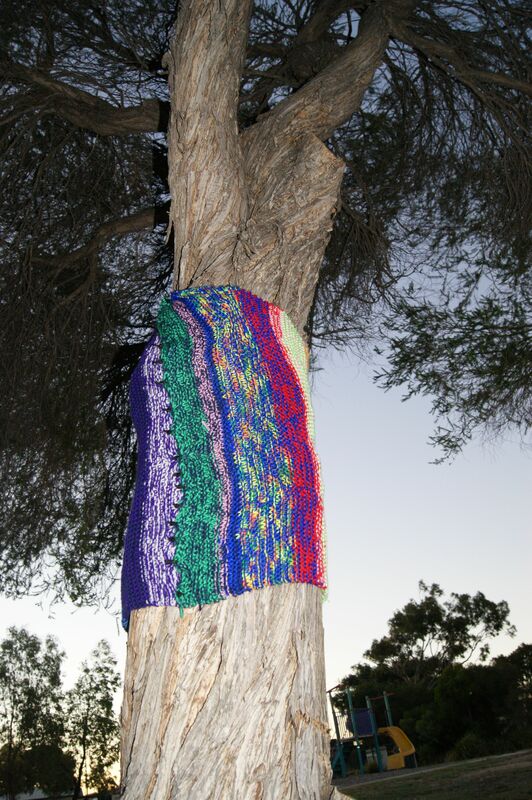 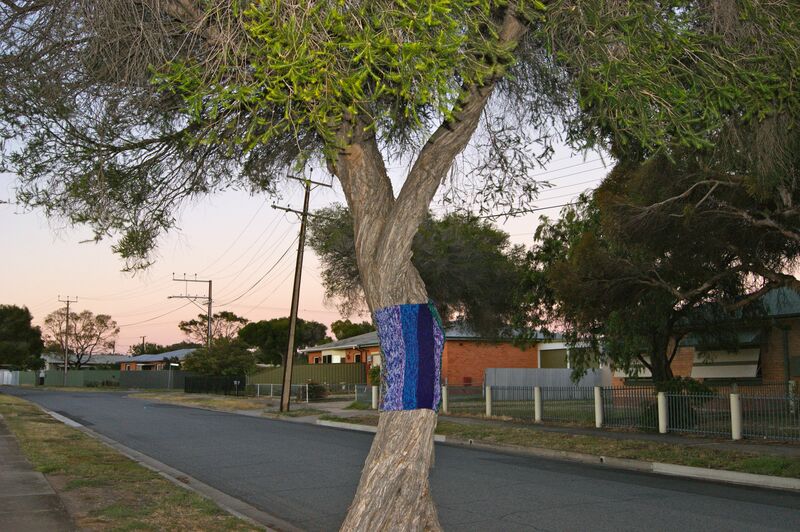 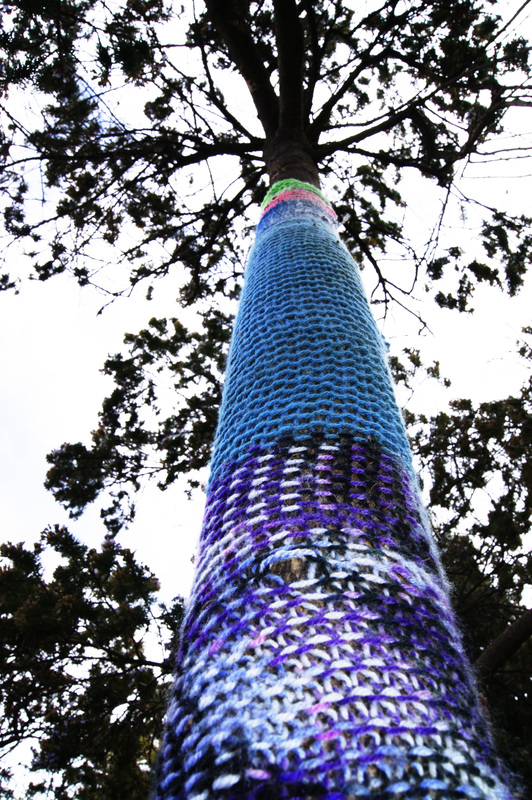 This entry was posted in Uncategorized and tagged craft, knitting, photography, street art, yarn bombed, yarn bombed tree, yarn bombing on February 4, 2013 by yarnbomb.